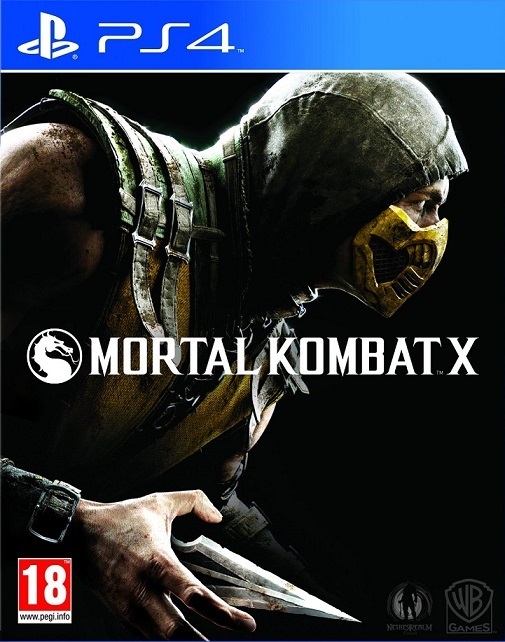 While many fighting franchises seem to become stagnant after a while, NetherRealm Studios seemed to strike gold when they revived Mortal Kombat with the ninth edition in 2011. Nostalgic but fresh, it marked one of the best fighting games of the seventh generation, and an amazing love letter to fans. 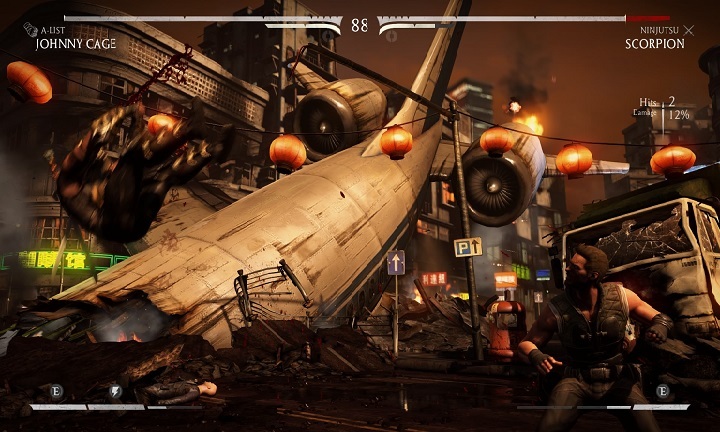 Mortal Kombat X, the first eighth gen instalment, debuts with some high expectations as a result. But thankfully NetherRealm does not disappoint, as though fairly familiar at points, it doesn’t break what doesn’t need to be fixed and will definitely satisfy fans. 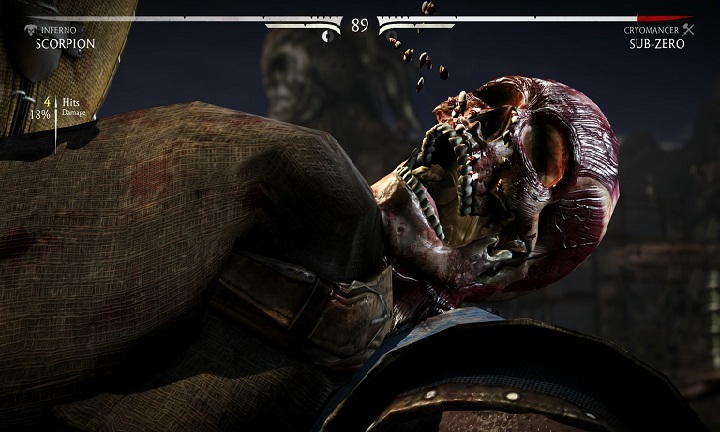 Perhaps the most technically accomplished entry in the series, immediately from the first fight you can tell Mortal Kombat X benefits from a boost in tech. Remarkably smooth and crisp, it has never felt this good to fight in MK. Combos roll off your controller with ease, the frame rate never slips up even in high-pressure situations and fights come to life with detailed characters, explosive background effects, stunning levels lit with beautiful lighting and brilliant animation. It’s to the point where cutscenes seamlessly transition into gameplay now. And while it admittedly uses some old animations and ugly textures from the previous game, it’s never enough to detract from the fighting. Though bolstered by smoothness, things are fairly familiar in the arena. Players can string combos using high and low kicks as well as special moves unique to each character. The special meter returns from the previous game, allowing you to perform extra powerful specials, combo breakers and deadly X-Ray moves which deal significant damage. Plus, returning all the way from MK4, a stamina meter lets you sprint. 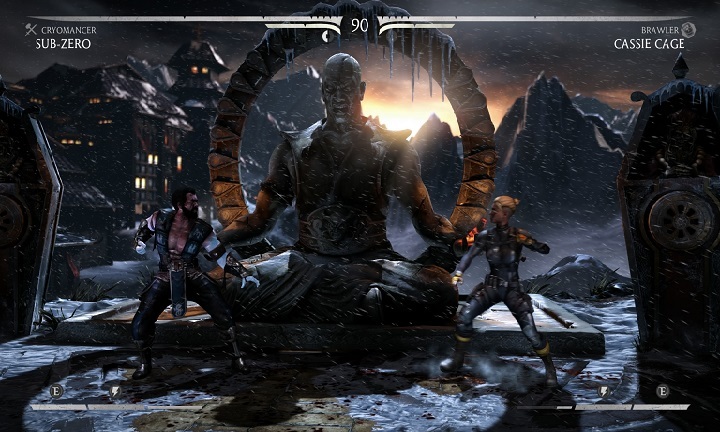 MKX also uses a couple of elements from Injustice, such as environmental interactions, though they don’t become as intrusive. 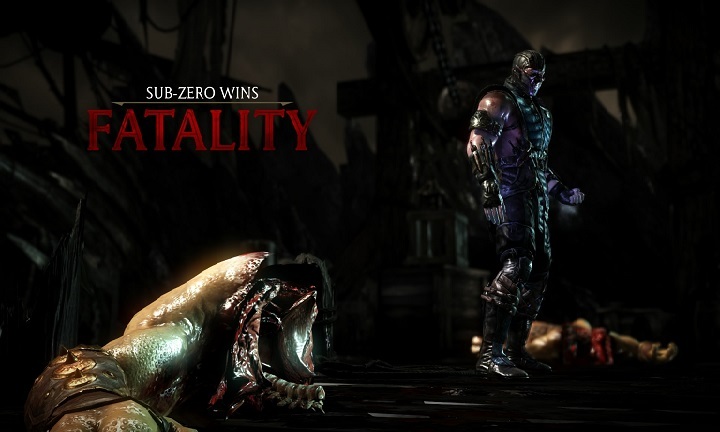 And of course, players can close their matches with brutal Fatality combos. Not all of them are interesting, but a lot nail MK’s mix of gory shocks and silly tone, making it everything an MK fan loves. MKX’s roster benefits from both diversity and a narrower focus. With a roster of just over 20, it may seem paltry, but don’t let the size fool you. Firstly, each character brings three Variations, adding a specific mod to each version such as a unique ability. And while previous games were accused of having Ninja-fatigue, the diverse group of characters is great. New highlights include the badass Gunslinger Erron Black, who combines long-ranged guns and sand bombs. It’s a good mix of fan favourites and new faces, and while not every character is as fun to use, the sharper and varied focus makes MKX’s roster a hit. But a fighting game can only be as good as its modes. And though NetherRealm mostly delivers, the story mode is the weak link. Taking place after MK9, the story follows Shinnok’s rise to power after Shao Khan’s demise. 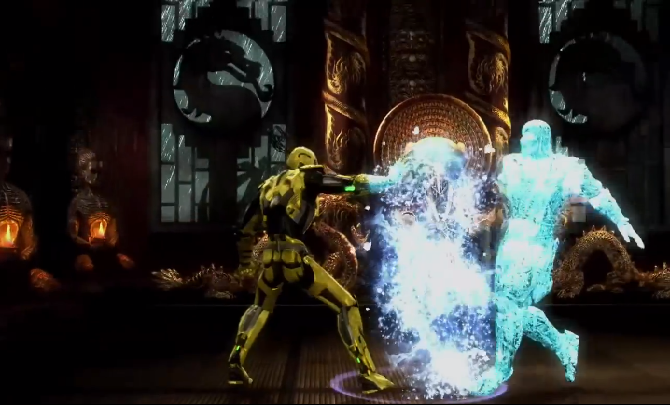 Though the opening takes place several years after MK9, we then jump ahead 25 years into the future. As a result, the focus shifts to the offspring of several franchise staples such as Cassie Cage, Jacqui Briggs and Kung Jin. While the concept is interesting, the execution is mixed. Clichéd subplots, such as Cassie’s desire to outdo her famed mother Sonya, don’t hit the mark, and it’s worsened by strange dialogue and hammy moments. And with about four hours worth of gameplay, it’s way shorter than before. Towers, on the flip side, are a highlight. Divided into Klassic and Living towers, each presents opportunities for fun. Klassic Towers are an assortment of preset fights, ranging from Test Your Luck which throws large amounts of modifiers into your match to Survivor, which simply throws opponents at you until you flatline. Living Towers is a bit different. Divided into Hourly, Daily and Premium Towers, NetherRealm update the towers and change the conditions, keeping these towers fresh. You are then ranked on factors such as how many flawless victories you earn, and you can compete with players around the world while earning Koins. It’s interesting, and exciting to compete, all while keeping varied with some insane modifiers. It’s definitely where the longevity lies. Do fighters seek out crashed planes, or do planes crash into fights? The final piece of the puzzle is the online component of MKX. You can compete in versus, King of the Hill and Test Your Luck matches, the latter often producing hilarious matches through sheer insanity. And thankfully, the netcode is way stronger this time. 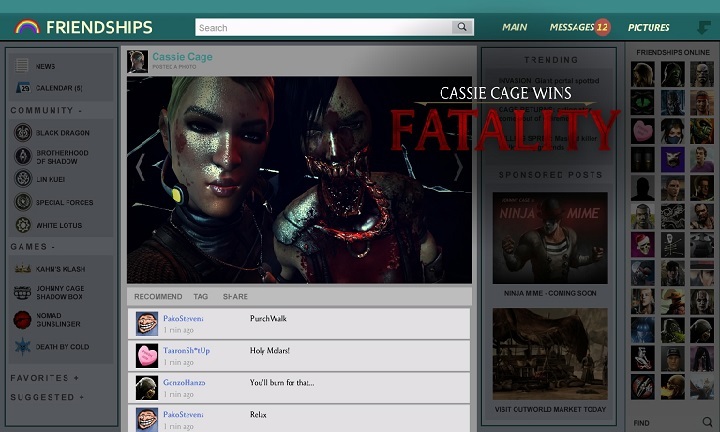 The other component is Faction Wars, a persistent online sub-section which involves all the players of MKX. You are forced to choose a faction from five, ranging from Lin Kuei to Special Forces, and then compete against rival factions each week. You earn supremacy by completing daily challenges and winning matches. On top of that, Outworld Invasions take place, allowing you to partake in special Towers, fight a super-insane boss and fight invaders in Towers to help raise your standing. It’s all super interesting, though the Faction and Tower servers can be spotty at times, but it’s not enough to spoil it. In the end, MKX is a worthy follow-up. 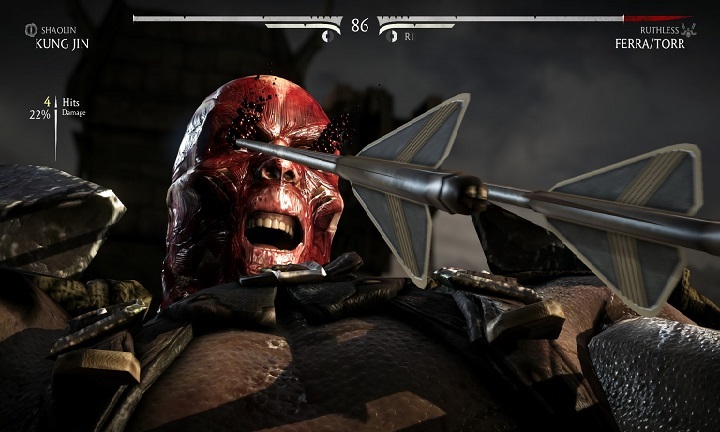 It’s a game of experimentation at times, where NetherRealm have dipped their toe into the always-online space, and for the most part, it’s where MKX is at its best. The fighting is the crispest it has ever been, the reduced roster is actually a blessing, and the variations add a nice wrinkle to the brawls. And for MK fans, the insane fatalities and sense of humour will still hit that spot. But, a spotty story mode and some sever issues stop it from being the definitive MK game. It still is great though, and nicely fills the void of fighting games this gen. Unless you’re squeamish, fighting fans should sign up as soon as possible.